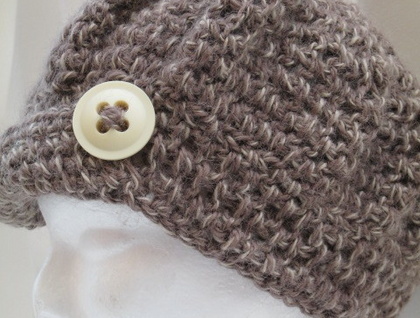 Presenting my fun quarky vintage retro inspired reochert beanies / hat. 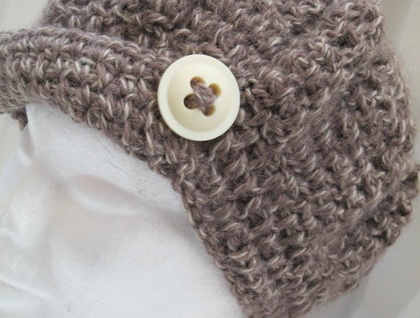 This one is called " utton up" a thick vintage coarse feeling 100% wool yarn with a large vintage button and a turned up flap. One of its kind and only one crochert. Very funky and retro vintage inspired. Mix of natural and dusky pink. 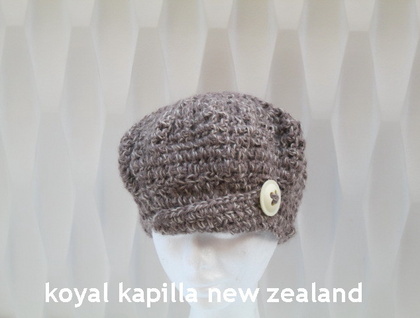 Would fit most heads and makes a rather trendy accessorier to any outfit expecially with this very wet weather. Please free to ask questions and a try on can be arranged before if requested. Thank you.